This book is dedicated to Coast to Coast host George Noory, because he has stimulated the responses in this book: All The Above. Filled with important information, this book will stimulate the mind. It includes essays from the top researchers all over the world, as to the possible conclusions they’ve reached about the UFO phenomena over the years. This book is dedicated to Coast to Coast host George Noory, because he has stimulated the responses in this book: All The Above. Filled with important information, this book will stimulate the mind. 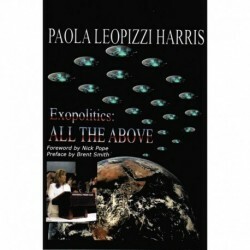 It includes essays from the top researchers all over the world, as to the possible conclusions they’ve reached about the UFO phenomena over the years. Paola’s book is woven with word for word interviews that include Steven Bassett, Dr. Michael Salla, Richard Hoagland, Grant Cameron, Larry Warren, Kathleen Marden, Jim Sparks, J.J. Hurtak, Clifford Stone, and Italian contactee Maurizio Cavallo. It is a fine work of contemporary UFO research. 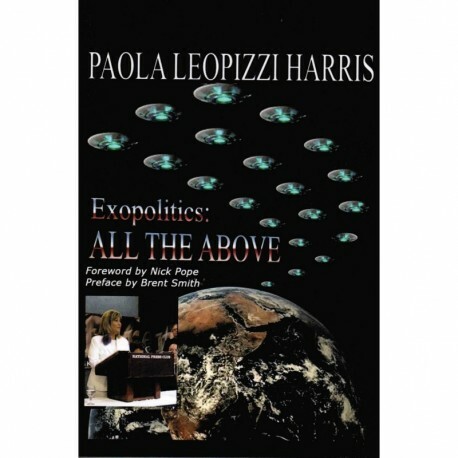 It is also an excellent reference for students of Exopolitics, the study of the Extraterrestrial presence on Earth, and its social implications for Mankind.